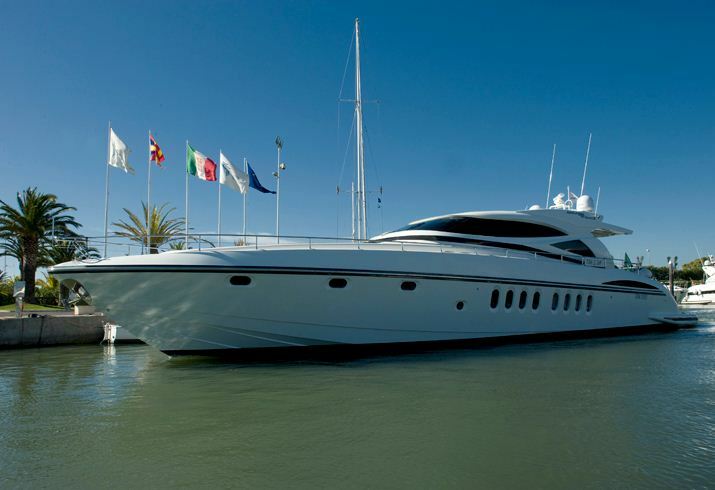 Motor yacht Yumi is an Alalunga 85 Sport yacht built in 2007. 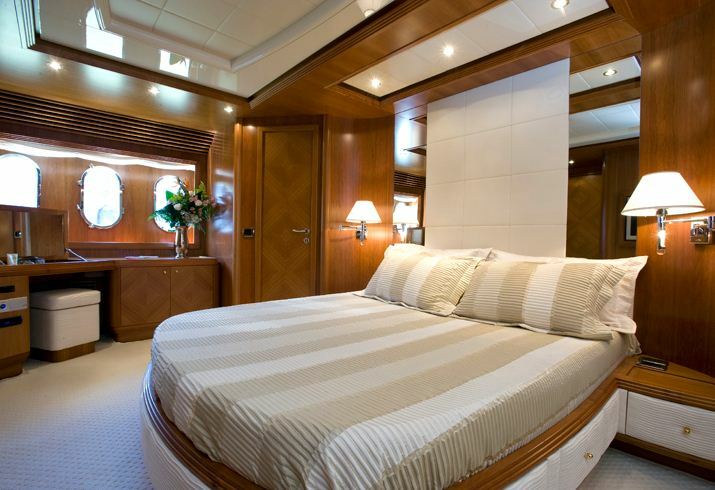 Yacht YUMI is an open cruiser equipped with a hardtop and a propulsion system developed by Andrea Bacigalupo, a well-known designer of large open superyachts. 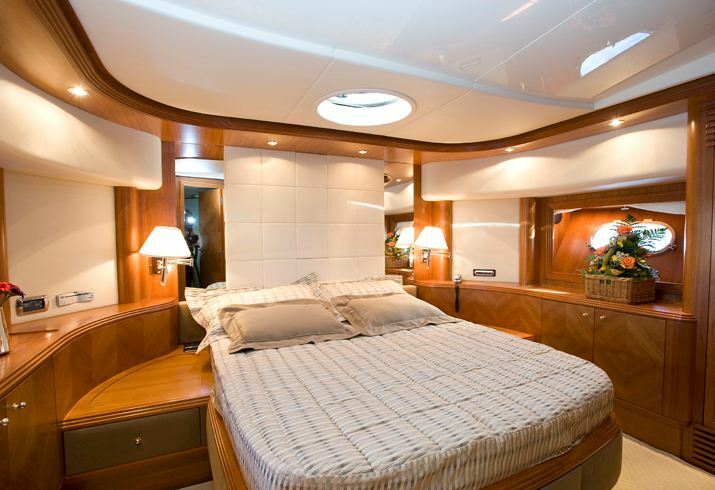 The design and exterior layout of the Alalunga 85 yacht YUMI are by naval architect Carlo Galeazzi. 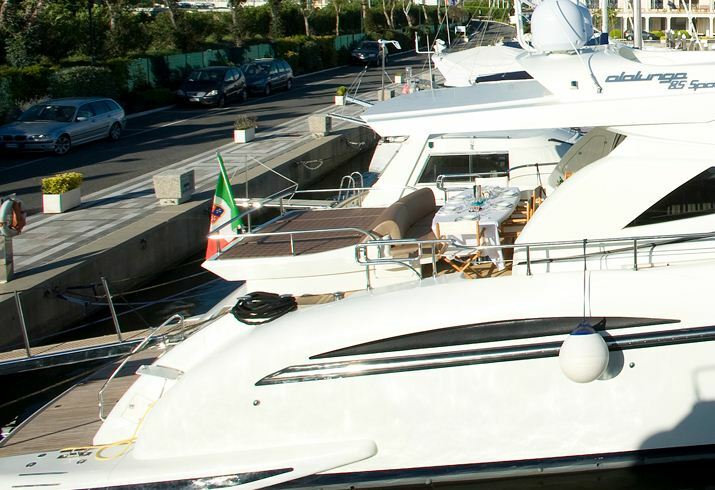 This line of open cruisers boasts well-protected, wide, lateral walkways and the sleek rounded shape of the superstructures extends from prow to stern. 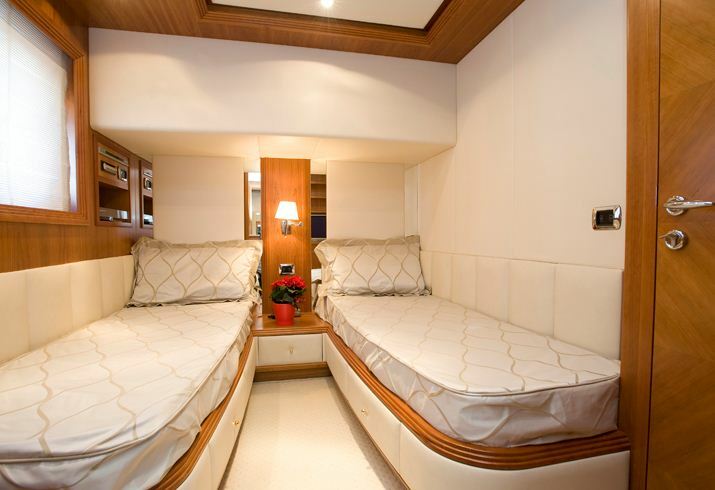 The Alalunga 85 Sport yacht YUMI features a traditional layout with four cabins including a master cabin, a VIP cabin, and two twin cabins. 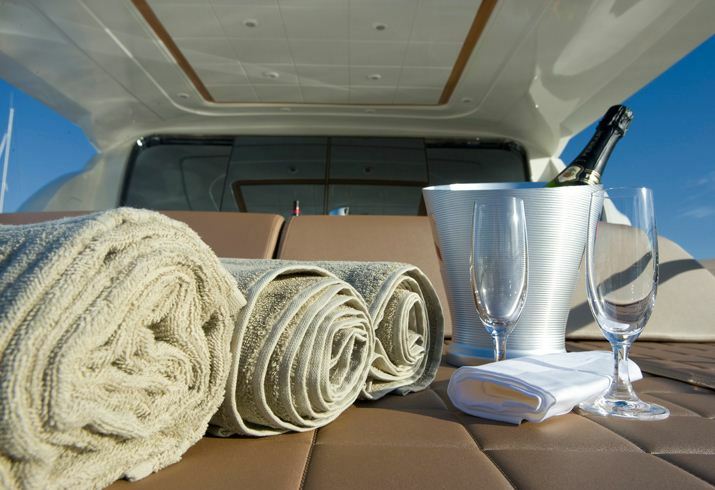 All of the cabins are equipped with private ensuite facilities and showers, while the owner's cabin has both a Spa Pool tub and a separate shower. 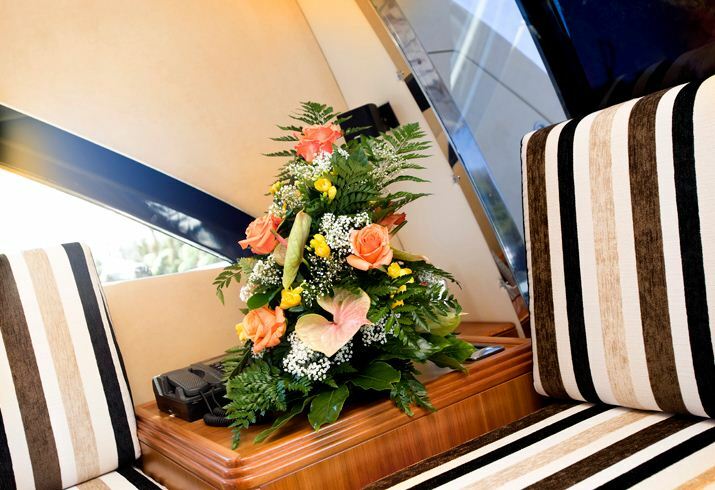 The interior of the YUMI motor yacht is finished in cherry wood and other fine woods completed elegant fabrics and leather in co-ordinated colours for the upholstery. 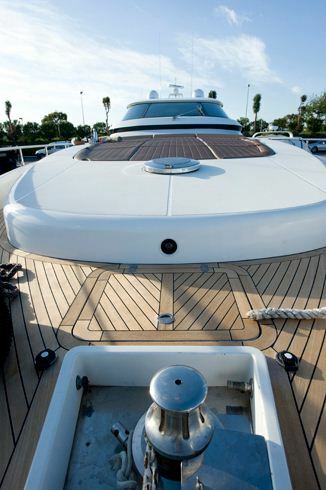 The large volumes created by the shape of YUMI’s hull and superstructure, give this yacht excellent liveability. Inside the area protected by the hardtop, accessible through a crystal glass door, is the main salon and dining/relaxation area. The salon is decorated with fun striped couches and is flooded in natural light. 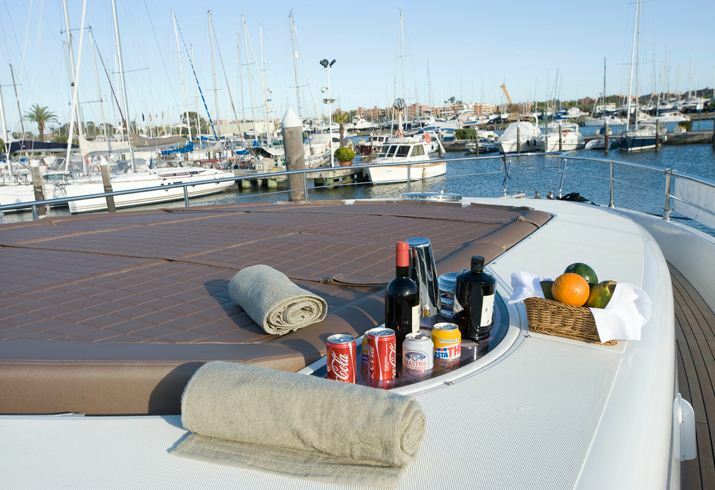 The foredeck is a spacious area forward that is designed with enough space for 8-9 guests to relax and soak up the sun. 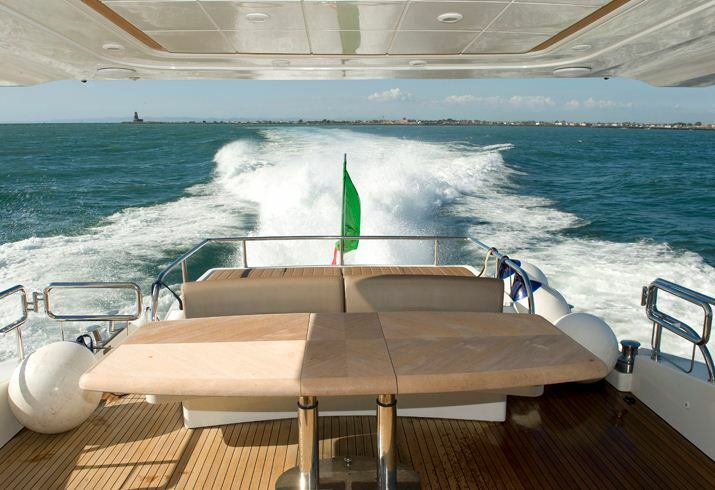 The area, perfectly integrated with the superstructure, does not interfere with the boat's profile. 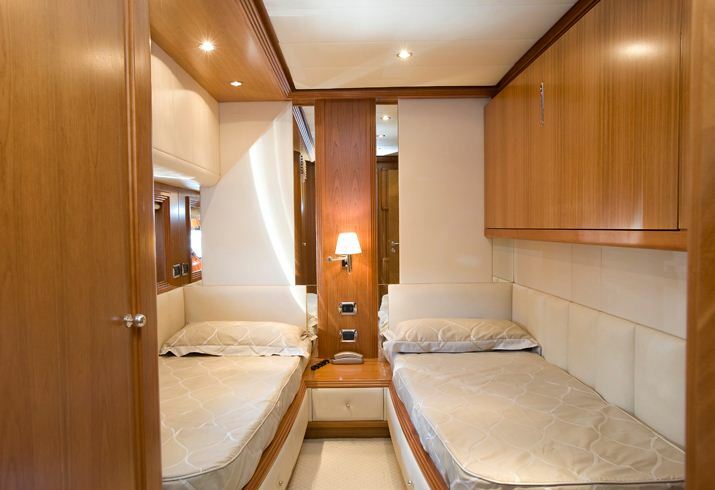 There is another sundeck astern, while the cockpit is the ideal place for al fresco dining in the open air and enjoying fast cruising in maximum comfort. 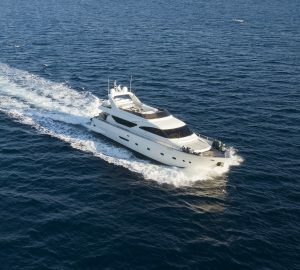 M/Y YUMI is based on the island of Kos, Greece and can reach most Greek destinations in just a few hours and available for luxury yacht charters in the Greek Islands and Turkish Aegean coast. 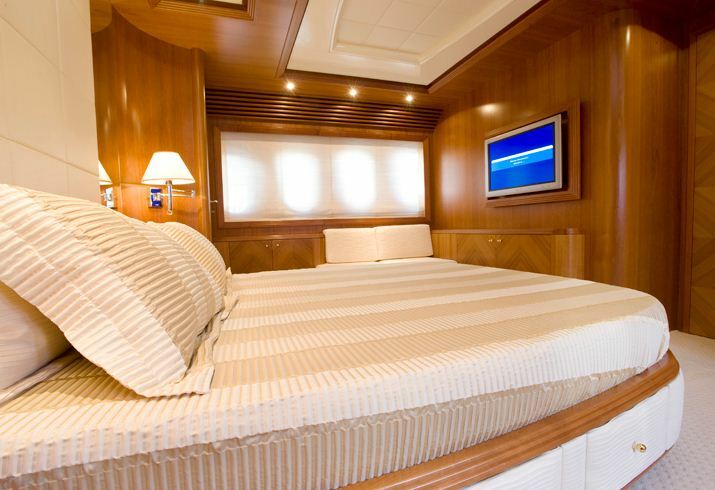 Charter yacht YUMI is able to accommodate up to 9 guests in 4 cabins including a master cabin, a VIP cabin, and two twin cabins. 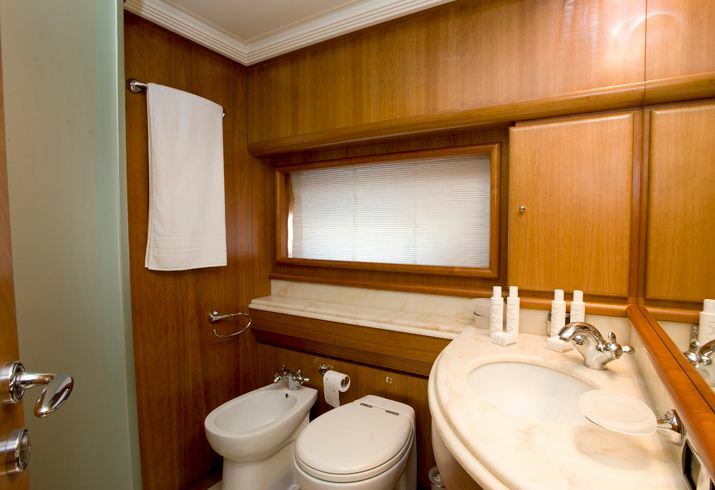 All of the cabins are equipped with private ensuite facilities and showers, while the owner's cabin has both a Spa Pool tub and a separate shower. 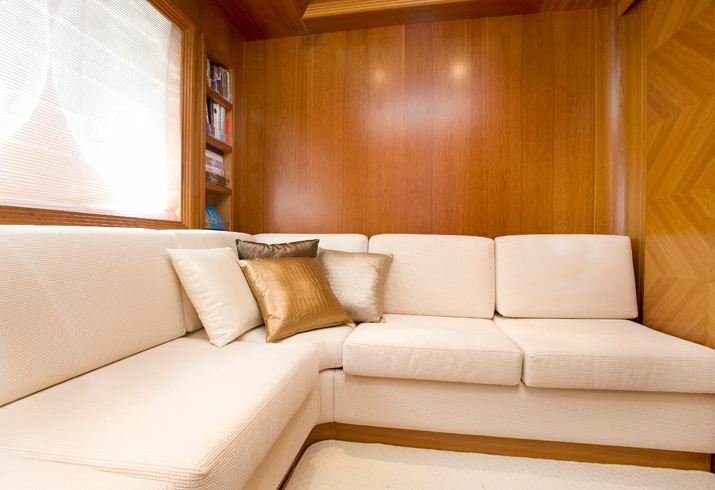 YUMI’s interior of is finished in cherry wood and other fine woods complemented by stylish fabrics and leather. 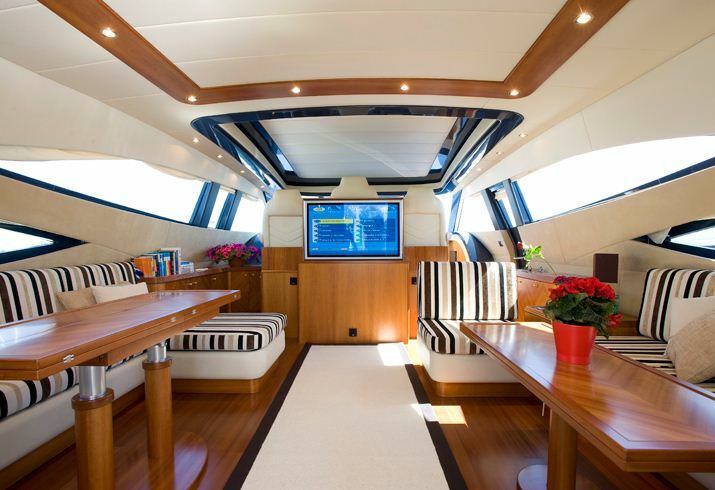 The YUMI yacht features numerous technological accessories installed for navigation and communication, along with those for relaxation, such as the hideaway plasma TV, making this yacht modern and well-suited to chartering. 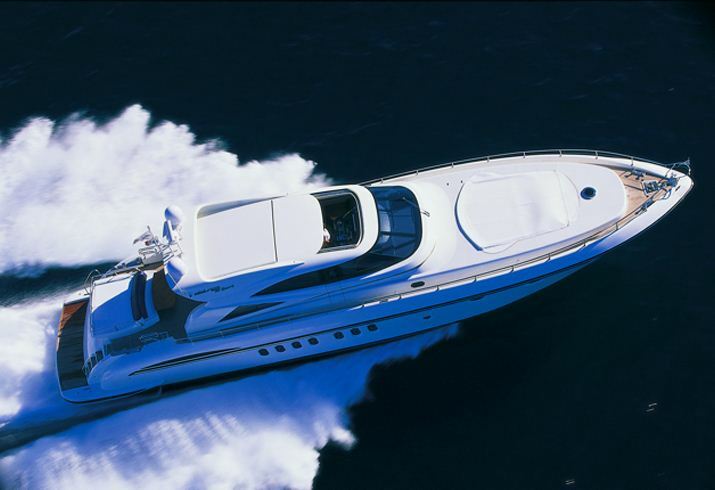 Tender and Toys include: a Zodiac Projet 350 104hp; Seabob Cajago F7. Toys: Kayak x 2 pers, watersky, Jumbo dog banana 5 person. Matrix for 2 and donut.